In addition to academic coursework, Drexel LeBow offers various non-credit bearing experiential learning opportunities for graduate students outside of the classroom. Students across disciplines have the opportunity to apply for graduate fellowship roles-positions that allow students to complete industry consulting projects outside of the classroom for practical experience. Fellowship opportunities vary in time frame and duration and are subject to availability. 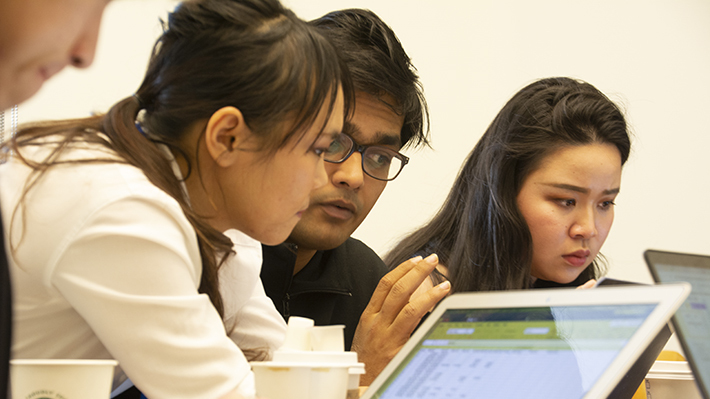 Drexel LeBow’s Dragon is a one-day competition that brings together teams of graduate students to turn data into actionable insight. Drexel LeBow’s Marketing Crisis Challenge is a one-day competition that tasks graduate students to develop strategic marketing plans in response to a real-world controversial crisis.